Gianmarco I.P. Ottaviano received his BA in Economics at Bocconi University Milan, his M.Sc. in Economics at the London School of Economics and Political Science, and his Ph.D. in Economics at the Universite Catholique de Louvain. He was Associate Professor of Economics at Bocconi University Milan and Professor of Economics at the University of Bologna before he moved on to the London School of Economics to serve as Professor of Economics. He is research fellow of CEPR London in the International Trade Program, non-resident senior fellow of Bruegel Brussels and coordinator of the Knowledge, Technology and Human Capital Program at FEEM Milan. He is the co-author of many works in international trade, urban economics and economic geography, including "Economic Geography and Public Policy" (Princeton University Press, 2003) and "Agglomeration and economic geography" (Handbook of Regional Science and Urban Economics, 2004). He is on the editorial boards of the Journal of Economic Geography (Oxford University Press) and Regional Science and Urban Economics (Elsevier). 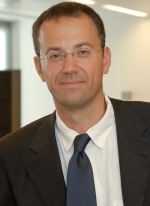 Gianmarco Ottaviano joined CReAM as an external fellow in April 2007.